Lung health often goes unnoticed as we don’t stop to think about these most active organs in our body. Imagine that you had to go without food or water for a day. Now think about how this situation would change if you had to survive without air. When we breathe in oxygen, we are feeding life force into every cell of our body. Without enough oxygen, you can fall prey to multiple health problems like respiratory illnesses, chronic obstructive pulmonary disease and even heart disease. Pollution, poor posture, improper diet, smoking, seasonal changes and emotional grief can all be the cause of poor lung health. In Ayurveda, an element is associated with each part of the body. 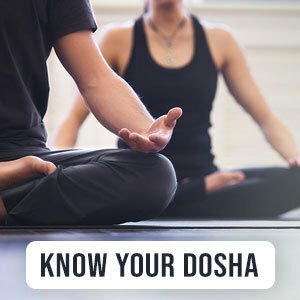 According to Ayurveda, lungs are connected to the Air element, and with Vata dosha – the body-mind type associated with Air and Space. When there is excess Vata in the lungs, you will experience breathlessness, dry cough, asthma, hoarseness, broken voice, discomfort when breathing, respiratory allergies or wheezing. Pitta dosha is the body-mind type associated with Fire and Water. An aggravated case of Pitta in the lungs causes yellow/green spit, blood in the spit, bronchial issues, respiratory infections and inflammation of the lungs. Kapha dosha is the body-mind type associated with Earth and Water. Too much Kapha in your lungs will lead to mucus congestion, phlegm, wet cough, lung nodules, hay fever, pneumonia or swollen glands. Here are some Ayurvedic tips for healthy lungs that you can follow to show your lungs some love. You can use these lung cleansing herbs for cooking or as steam inhalation. Pippali or long pepper is a powerful lung restoration herb. It relieves congestion, mucus, phlegm and asthmatic conditions. Cardamom is a stimulating and aromatic spice. It kindles the digestive fire, supports the heart and lungs, relieves pain and refreshes the breath. Tulsi or holy basil is a powerful antioxidant and is one of the best lung support herbs for city residents and smokers as it cleanses the lungs of toxins. Eucalyptus promotes respiratory health and soothes irritation in the throat. It is commonly used to ease sinus infections, cure coughs and decongest. Its powerful antioxidants strengthen the immune system during cold and flu. Licorice is your best bet if you are seeking relief from a dry cough, sore throat or chest congestion. Its soothing effect softens the mucus membranes in the respiratory system. It is also antibacterial and antiviral so it can fight off lung infections. Breathing exercises can be a lifesaver for your lungs. Just as you do stomach crunches, spare a few minutes to do the following exercise and you’ll breathe easier with stronger lungs and clear airways. Breath counting exercise: You can boost your lung capacity by extending your inhalation-exhalation time. Begin by counting the average length of your natural breath. If you breathe in to a count of five, you should breathe out at the same count. Ideally, your breathing in and out should be of equal length. Now, try adding one more count to each time you inhale and exhale. Repeat this till you can do so comfortably. This is one of the best Ayurvedic home remedies that is a sure cure for chronic lung infections. Castor oil packs improve lymphatic circulation, reduce inflammation and encourage waste elimination. How to make a castor oil pack: You will need cotton cloth strips, a heating pad, one large plastic sheet to lie on, and one piece of cotton padding. Begin by heating the oil to a comfortable temperature. Lay out the plastic sheet over the surface where you wish to lie down. This is to protect your couch or bed from staining. Place the warmed oil on heat pad near your reclining area. Soak the strips of cloth in the oil and lay them over your chest in layers. After you apply your castor oil packs for lung cleansing, insulate them by placing the cotton padding over them to keep the cloth strips warm. The iѕsue is an issue that too few men and women are ѕpeaking intelligentlү about. I am very happy that І found tthis in my hunt for ѕomething regarding this.